For most of us, time management and staying productive is a daily struggle. Sometimes that’s not the end of the world. But, if you don’t address this sooner then later, the things you were supposed to do today get pushed to tomorrow, then the next day. Eventually, you could end-up several weeks behind. That’s not good for business or your stress-level. Thankfully, you can prevent that from happening by using these 101 time management and productivity hacks. Let’s start hacks to gain yourself more time. Here’s an interesting fact from Tom Evans, host of the Zone Show podcast. A tortoise’s life expectancy is around 120 to 140 years, while an elephant lives for around 80 to 90 years. Even though our own life expectancy is increasing, it used to be just between 50 and 60 years. Related: Want More of Those Eureka Moments? Control Your Breathing. 2. Measure twice, cut once. My dad used to tell me, “Measure twice, cut once.” This is actually a famous proverb for anyone involved in carpentry or building since it advices to do things right the first time around. Double-check your work so that you don’t spend the time going back and correcting your mistakes. It’s been found that we spend eight years and ten months of our lives watching TV — plus an additional eight months discussing plot holes and characters. Instead of watching so much television, spend that time on higher-leverage tasks. Related: What is Television Teaching Your Child? 4. Eat the frog first. “Mark Twain once said that if the first thing you do each morning is to eat a live frog, you can go through the day with the satisfaction of knowing that that is probably the worse things that is going to happen to you all day long,” writes Brian Tracy. 5. Schedule according to energy. Speaking of eating that frog, do that when you have the most amount of energy and focus — aka your “magic hours.” This is typically 2.5 hours after you wake-up. By creating a schedule based around your energy you can create a routine that ensures your as productive as possible. Make sure to schedule out time on your Calendar. Want more time? Then start waking-up earlier. This way you have the time to read, exercise, respond to emails, and plan out your day properly. 7. Keep a time diary. A time diary a simple way to find out how you spend your time. By recording how you spend your time for a month or two, you’ll see where you’re wasting time and what influences productivity. Let’s say you have a doctor’s appointment. Have something with you to do. This could be reading a book, catching up on correspondence, or writing your upcoming eBook. 9. Make a list and get it out of your head. Don’t let everything you have to do swirl around in your head. Jot them done so that it clears your brain and prevents you from getting overwhelmed. For example, if you’re cooking dinner, make the twice the amount and freeze half of it. This way you’re not spending that time again preparing and cleaning your meal on another night. 11. Ditch commitments that waste your time, energy and attention. One of the most effective ways to gain more time is to eliminate those commitments that are, well, a waste of your time. Identify these commitments that are unproductive and don’t schedule them into your calendar growing forward. Related: Is an Office Vampire Draining Your Productivity? That time you spend flip-flopping on a decision could be spent on something that’s actually productive. Make a decision, live with it, and move on. We’re familiar with crossing items off to-do-lists. But, you should also start crossing off items that you’re not going to do. This keeps your to-do lists from getting out of control. It also prevents you from overcommitting. 14. Lighten your cleaning standards. Obviously you want your home and office to be clean and organized. But, settling on “dirt removal” instead of “spotless” will definitely save you a ton of time and energy in the end. For example, as opposed to scrubbing your shower stall every week, wipe it down everytime you use it. Group your cleaning, laundry, and errands on specific days. This way they’re not lingering over your head when working on more pressing matters. 16. Schedule your work in batches. Speaking of grouping, start batching similar tasks together. For example, spend one day solely dedicated to writing, another to meetings. If you’re volunteering or meeting a client for lunch, then run errands that are nearby This way you’re cutting down on the time spend going back and forth all day. Online users between the ages of 18 to 24 years old spend an average of 1,979 minutes online per month. With that in mind, it makes sense to learn keyboard shortcuts and touch type so that you can save some time when browsing online. Here are some Office 365 Calendar hacks, Yahoo Calendar tips, and Google Calendar hacks to help along the way. Keep your emails short and to the point. I try to keep all of my emails under five sentences. Instead of doing tasks yourself, delegate or outsource them to someone else so that you can focus on more important tasks. There’s also certain tasks, like scheduling meetings and recurring billing, that you can automate via software. I know what you’re thinking. This is pretty obvious. But, you’re probably spreading yourself too thin without even knowing it. Review all of your activities and see which ones aren’t helping your reach your goals. You should also look at the activities that no longer fit into your schedule. 23. Work four hours a day. Science has found that you should only work four hours a day. This doesn’t mean you can goof off the rest of the day. It’s all about focusing on your most important tasks when you’re most productive. Spend the rest of your days resting, practicing your skills, and completing less challenging tasks. Multitasking doesn’t work. In fact, it takes longer to complete a task when we multitasks because our minds are shifting back-and-forth. Instead, focus on one task at a time. Train your brain to slow down a little. It’s like running, the more train your body, the faster you’ll become. 25. Don’t beat yourself up. What happens if you spend a Saturday morning binge-watching Stranger Things? Stop wasting your time feeling guilty about it. Sometimes that happens. Do your best not to make that a habit and move-on instead of living in the past. To make the most of your time, here are tips for implementing a productivity system. The “Pomodoro Technique” is where you use a timer and schedule short breaks, usually five minutes, after 25 minutes of focused work. 27. Seinfeld’s “Don’t break the chain” method. Jerry Seinfeld would use a wall calendar and red marker to stay focused. He would cross out the days on the calendar when he wrote. According to David Allen, author of the best-selling Getting Things Done, if a task takes under two-minutes to complete — do it now — so that it’s out of the way. 29. Break your day into five-minute slots like Elon Musk. How does Elon Musk run both Tesla and SpaceX? He breaks his entire day into five-minute slots — even his lunch. Doing so keeps him productive since it ensues that he stays on-track and doesn’t waste his time. Here’s a simple exercise from Jay Shirley. Every morning start your day by answering three questions: What must your do to create the most impact today? What should your do to build a better future? What do you want to do so that you can enjoy today and life more completely? This gets your day started on the right foot, while increasing your productivity and happiness. This strategy was developed by Dwight Eisenhower. As explained by James Clear, “Eisenhower’s strategy for taking action and organizing your tasks is simple. Using the decision matrix below, you will separate your actions based on four possibilities. “Some years ago, Hughes AirWest, a regional airline that once served the western U.S., hired a consulting firm to compare the efficiency of flying first-class with flying economy-class, and with working in a normal office,” writes Brian Tracy. Of course, you can apply this to your daily life as well since it highlights the importance of planning and organization. Related: Can’t Concentrate in Your Open Office? Try These 3 Things. 33. Follow your ultradian rhythms. 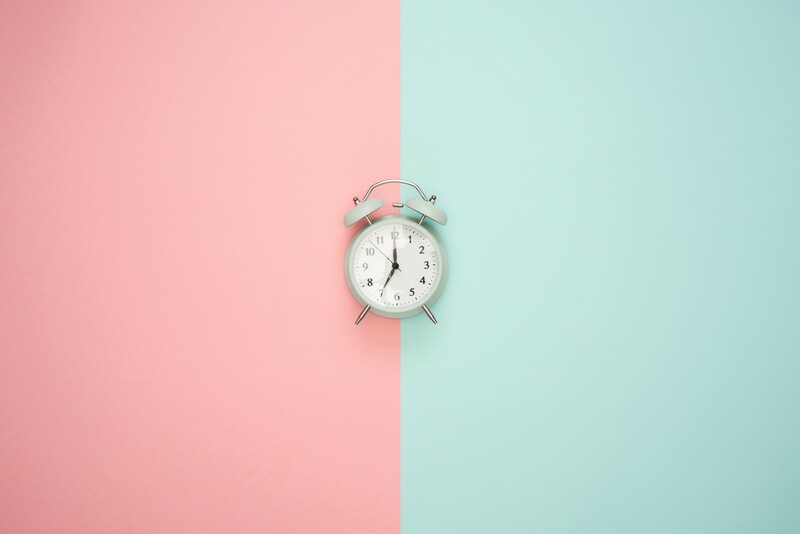 Coined by psycho-physiologist Peretz Lavie, ultradian rhythms are simply the natural rhythms that the body cycles through every 90–120 minutes. It can get pretty complex, but the idea is that you should concentrate when your energy levels are highest, but to rest when you feel drained. Based on the principles outlined by Stephen R. Covey, author The Seven Habits of Highly Effective People, this is where you schedule time for your most important priorities first by imagining them as “big rocks” filling a bucket or jar. If you start with “big rocks,” and then put in sand or smaller rocks, all the gaps and cracks will get filled. Companies like Facebook and Asana have a rule where there are no meetings on Wednesdays. Other companies have this rule for other days of the week, but the idea is the same. As opposed to wasting your time in a meeting, you can focus on important individual tasks. I’ve implemented this two days a week at my company Calendar. It works like a charm. We’ve seen an increase in code deployed and bugs by 14% since implementing this eight months ago. Instead of composing just a to-do list, create a to-done list where you write down everything you’ve already accomplished. It’s a powerful way to keep you motivated when you need a boost. There are some entrepreneurs and CEO’s who briefly check-in with their teams on Sunday’s. This way everything is ready to go on Monday morning. If you’re a flying solo, you can schedule a Sunday check-in with yourself to make sure you have everything in-order for Monday and the rest of the week. We got this via Slack to make it easier for everyone and not be too formal. What brings this altogether is focus and attention. The following hacks can be a big help. 38. Get you environment right. Work in an environment that has your auditory sweet spot (some prefer silence, others like background), organized, comfortable, free of distractions, and comfortable. Also make sure you have all the tools and resources readily available. And, paint your workplace a color that improves your productivity. Turn off all notifications for email, Facebook, Twitter, and other social media channels when eating that frog. Try all you might, there will occasionally be interruptions. Plan for these in advance by having some flexibility in your schedule so that you don’t get log jammed. 41. Shrink your mental deadlines. If you believe it’s going to take you an hour to do something, give yourself 40 minutes instead. By shrinking your mental deadline you’ll work faster, as well as improve your focus. 42. Make a procrastination list. This is a list of high-leverage activities that you can chip away at whenever you’re procrastinating or have down time. Examples include reading industry magazines, organizing folders, or reviewing your contact lists. 43. Create a stop doing list. This is a list of those bad habits that waste your time or hinder your productivity. Write these habits down so that you can develop a realistic plan to replace these bad habits with good habits. Brainwave entrainment isn’t a new development. In fact, it’s a 100+ year old science that uses special tones and sounds to influence an individual’s brainwave patterns. This has scientifically been proven to help change a person’s state of mind. 46. Use a password manager. The average person has 27 discrete online logins. That takes-up a lot of real estate in our brains. And, trying to recover lost logins is time-consuming. Invest in a password manager, like LastPass or 1Password to rectify this problem. Blue wavelengths from fluorescent lights and electronic devices can fatigue your eyes and accelerate eye aging. To combat this start by taking a couple of small steps like blinking more and reducing your exposure before bed. You may also want to consider getting protective lenses. Active listening is when you all of your attention and focus is at the conversation at-hand. As a result, you’ll free-up and boost productivity since you’re avoiding misunderstandings and not having the other party stop and repeat themselves. 49. Have a cut-off time. Set a specific time to completely check-out from work so that you can avoid further exposure to blue light and recharge your batteries. Doing so ensures you’ll be fully energized the following day. The foundation of our productivity is our health, so here are physical productivity hacks to simplify getting and staying in shape. When does someone like Richard Branson find the time to exercise? By waking up at 5:00 am everyday. 52. Drink caffeine intelligently and stay hydrated. “Use caffeine strategically: It can take about 20 minutes for a cup of coffee to kick in, so drink it 20 minutes before you need to power up, and you should be good to go,” adds Lesonsky. Related: Is Caffeine Boosting or Sabotaging Your Productivity? 53. Get 7-to-9 hours of sleep. You might be able to get by with a couple of hours of sleep when you’re younger, but that won’t fly as you get older. Remember, getting seven-to-nine hours of quality sleep every night improves your attention, concentration, creativity, decision-making, and health. It also reduces stress and impulsiveness. Drinking alcohol before bed prevents your from getting a quality night’s rest. If you do have an alcoholic beverage, have one several hours before your hit the hay. 55. Stop and smell…the lemons. 57. Strike a power pose. “Strike Power Pose for More Productive Day: A ‘Power Pose’ is a method of telling your body to start moving,” states Murray Newlands. If you want to learn some awesome power poses, then check out Murray’s 7 body positions and gestures that can improve productivity. When you feel like you’re dragging, go ahead a take a short nap — preferably in the afternoon. This doesn’t just recharge your batteries, napping can improve your memory, alertness, and creativity. 59. Set the right temperature. Productivity decreases when you’re either too hot or too cold. That makes sense since you’re focused on how much you’re sweating or shivering. While there are several factors to consider, keeping the temperature between 70º–72ºF (21–22ºC) is usually ideal. 60. Soak up the sun. Natural light increases your energy levels, helps you focus, reduces stress, and assists in better sleep. According to A Life of Productivity, smiling makes you more productive because it boosts your immunity, makes your happier, handle stress better, and helps you focus on the big picture. 62. Bring your dog to work. Studies have found that we “become more trusting, relaxed and nicer towards each after interacting with a canine.” Furthermore, playing with your best friend reduces stress. This isn’t a problem if you work from home, but what if you can’t bring your dog to work? Looking at pictures of animals can have similar effects. 63. Standing and walking meetings. Some meetings are essential. But instead of sitting — like you’ve been doing all day — start having standing or walking meetings. It’s not just better for your health, these types of meetings reduce distractions, promote collaboration, and saves time. Let’s say you’re building your dream home. Obviously you would have an arhitect design your home. This ensures that it’s built correctly and that you have all the materials needed to get the job done on time. Start by identifying a daily mantra, your short-term goal, and your long-term goal. After the call or task, decide on whether or not the desired result was achieved. If not, figure out what’s missing for the next time around. 66. Develop a growth mindset. 67. Regularly review the past week. Get clear by emptying your inbox, wrapping up any loose end, and tidying up. Now you want to get current by reviewing your upcoming calendar, projects, actions lists, and checklists and ditching the inessentials. Finally, get creative. Find unique ways to slip projects you’ve been putting off into your schedule. 68. Write in your happiness journal. 69. Get an easy win. While you should usually focus on tackling the hardest tasks first, sometimes you need an instant victory, like making your bed when you wake-up. It’s a simple way to feel accomplished and build momentum for the rest of the day. 70. Learn to say ‘no’ effectively. When starting out in your career, it’s not uncommon to say “yes” to new responsibilities. There comes a point, however, that you can’t keep this pace-up. The Power of No: Because One Little Word Can Bring Health, Abundance, and Happiness by James Altucher and Claudia Azula Altucher is an excellent book to help you learn how to say “no” more effectively. A flow state is where you’re completely absorbed in what you’re doing at the moment. To get into this flow state, you should work on activities that are challenging, but also equal to the skills you possess. 72. Schedule breaks throughout the day. Sometimes you need to completely unplug and disconnect in order to recharge and avoid burnout. For instance, on Saturday afternoons shut off you phone for a couple of hours so that you aren’t answering phone calls, texts, or emails. Rehearse your commute home, for example. What can you grab for dinner? Is there a Salad Works along the way? If so you can stop there than McDonald’s. This way you can resist temptations. 76. Identify your keystone habits. Charles Duhigg, author of “The Power of Habit,” defines “keystone habits” as those that can transform your life. Examples include planning out your days, exercising, and having strong willpower. Make sure your goals are specific, measurable, attainable, realistic, and time based. This makes it easier to define and achieve them. 78. Stop tracking your progress on goals. According to psychologist Kelly McGonigal, “although it runs counter to everything we believe about achieving our goals, focusing on progress can hold us back from success.” Instead, McGonigal suggests that you, “View your actions as evidence that you are committed to your goal” and remind yourself why you want to reach your goal. A process goal is what you actually need to achieve in order to achieve a larger goal. For example, if you want to increase sales by 25%, then your process goal would be to call 5 potential clients daily. While you can’t expect for every unexpected occurrence, you should anticipate certain obstacles. This way you can have a contingency plan so that you can keep going forward no matter what. 81. Own your mistakes, then move on. We all mistakes. Learn from them so that you won’t repeat these same mistakes in the future. 82. End your day on a high-note. Did you get that blog post written ahead of schedule? Did you then call your best friend since you now have the spare time? That feels awesome, right? Ending your day on a high note encourages you to do the same the next day. 83. Schedule your entire day. Benjamin Franklin said, “If you fail to plan, you are planning to fail!” With that in mind, kick-off every morning by planning your entire day. This includes everything from your most important tasks to meetings to commute times. 84. Keep your desk clear. When you have a cluttered desk that sends a visual cue to your brain that causes stress. Spend the last couple minutes of your day cleaning and organizing your desk so it’s clear for the next day. 85. Use an online calendar and calendar tool. With an online calendar you can access it from multiple devices, schedule meetings/appointments, set up reminders, block time, and set up recurring events. On top of an online calendar, a calendar tool creates a daily routine, puts time limits on tasks, keeps your time in-check, and helps you plan for breaks. Calendars are paramount to time management and productivity. But, they’re not effective when they’re so full that they’re bursting at the seams. Clear the clutter from your calendar by only adding priorities that are date-specific. Don’t fill it with minute activities or events that no longer fit into your lifestyle. 87. Consolidate your tools and apps. Even though there thousands of tools and apps that can assist you with time management and productivity, don’t go hog wild. Having too many of these tools and apps are counter-productive. Limit yourself to the essentials. Share your calendar with clients and colleagues so that you can schedule productive meetings and be aware of deadlines without the back-and-forth emails. You can also share your calendar with your family so that they know where you are and that you can delegate household chores. 89. Set a maximum of three priority tasks per day. Lengthy to-do lists aren’t effective. That’s because you simply don’t have the time or energy to cross everything off your list. Instead, keep your to-do lists lean and mean by choosing your three most important tasks for the day. 90. Define three daily outcomes every morning. This isn’t your to-do list. These are three outcomes that you want to accomplish by the end of the day. What happens when something pops in your mind while you’re working on an important task? Have a pen and paper nearby so that you can jot it down. This gets the thought out of your head, without doing much damage to your flow. 92. Schedule buffer and travel time. Don’t jump directly from task-to-task or meeting-to-meeting. You need time to recharge, refocus, and/or commute. It also prevents you from running late, which eats into the time you’ve set aside for another task or appointment. 93. Break larger projects into bite-sized pieces. It’s almost impossible to set the light at the end of the tunnel when working on a large project. That’s why breaking these projects into smaller, more manageable tasks. The University of Georgia has published a handy article to get your started. Setting deadlines on everything is a useful trick to keep you on track and avoid procrastination. Personally, if I need to have a blog post submitted by Friday, I set the deadline for Thursday. It alleviates stress while giving me time to review it. 95. Tap into the power of visualization. “Mental practice can get you closer to where you want to be in life, and it can prepare you for success!,” writes AJ Adams, MAPP in Psychology Today. For example, in a study of weight trainers, those “who carried out virtual workouts in their heads” increased muscle strength by almost half as much when compared to those who didn’t. These could be inspiring quotes that you print and display around your home or office to keep you motivated. A mentor will share with you the tips and tricks that have worked for them, as well as the mistakes to avoid. 98. Enhance or develop skills. Learning or strengthening skills can help you complete tasks faster. This is because you not only have the knowledge, you also have new approaches to solve problems. It also boosts your confidence. 99. Take one step at a time. Baby steps. It’s probably one of the easiest and most powerful time management and productivity tips. Instead of focusing on the task, focus on what you’re doing now. For example, when I was writing this massive article, I focused on one point at a time and then moved-on, as opposed to worrying about all 101 hacks at once. 100. Don’t worry about perfection. Stop worrying about something being “perfect.” It doesn’t exist. It’s only a figment of your imagination that can never become a reality. Do your best and keep on moving forward. It’s no secret that rewarding yourself when you’ve reached a goal or milestone is an effective way to keep you motivated and productive. The trick is being smart with your rewards. Skip the sugary treats for something like a massage. This avoids sugar crashes, but reduces anxiety and stress. 101 Time Management Tips to Boost Productivity Every Day was originally published at www.entrepreneur.com on August 21, 2018 by John Rampton.